Everyone remembers how Amazon Alexa was the big winner of the 2017 Consumer Electronics Show (CES) in January. Amazon didn’t have an official presence at the show, but Alexa seemed to be featured in every third booth. Eight months later and device manufacturers are continuing to bestow their favor on Alexa. Alexa again held a prominent position in Berlin at the IFA conference that promotes itself as the world’s “leading international business event for consumer electronics and home appliances.” IFA has about half the number of exhibitors as CES, but had higher total attendance the last two years. It is a big event that consumer electronics companies take seriously. The timing is also important as a showcase for new products that will be on sale for the Q4 Holiday shopping season. It’s looks like Alexa may be everywhere this Christmas. Adding voice assistant features to wireless speakers is increasingly important to manufacturers. Yamaha announced Alexa control at IFA for more than 40 of its MusicCast products including the Disklavier Enspire piano. So, now you can ask Alexa to play the piano and it won’t even be a recording. This comes along at the same time as Harman Kardon’s Alexa integration into the new Allure wireless speaker. Amazon Alexa is the most widely recognized and adopted voice service on the market and we are very excited to announce the first of many products with built-in, far-field Alexa capability. By combining DTS Play-Fi with the Alexa Voice Service, these speakers extend Alexa’s capabilities to more than 200 products from 23 different manufacturers, while providing compatibility with the same Alexa skills customers have grown to love. The phrase, “most widely recognized and adopted voice service,” is interesting. Alexa is clearly a big name in voice and dominates the current smart speaker market, but based on raw numbers it is neither the most widely recognized nor adopted voice service. Those titles would go to Siri, Google Assistant or Cortana. The difference is that Alexa is more widely adopted by OEMs because the other assistants have been slow to open up their APIs to support third-party devices. The user bases of Apple, Google and Cortana are almost exclusively restricted to their own devices. Momentum is a big deal in technology adoption and Alexa has it right now. Most widely recognized and adopted by OEMs one day can quickly become most widely used by consumers in short order. The momentum doesn’t stop with smart speakers. Bragi had previously integrated Siri and Google Assistant with its Dash and DashPro wireless earbuds. 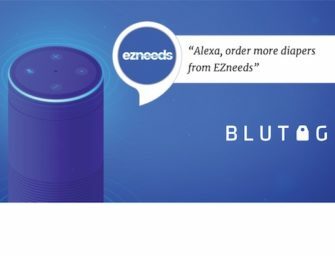 They now have Alexa support as well. This also makes sense because AirPods have shown us that wireless earbuds are essentially near-field voice assistant and wireless speaker devices. However, the Alexa IFA integration announcements go well beyond devices known for audio fidelity and voice interaction. CNET has an extensive list of new Alexa announcements from IFA. This list includes new cameras and a vacuum from Bosch, a lawn mower robot from LG, a home robot from Qihan, Toshiba and Vestel TVs, and a new smartphone from Wileyfox. Alexa is quickly becoming synonymous with voice interfaces. Google had a notable presence at IFA unlike CES. Google Assistant was already in the Bragi devices and Sony had an announcement about the new LS50G. In addition, Harman Kardon’s new wireless JBL speakers have Google Assistant support and no Alexa option. Google Assistant’s progress with devices manufacturers is a matter of time in market. The company only released integration tools for Google Assistant in early December 2016. That was too short of a timeline for manufacturers to have something ready for CES one month later. However, IFA’s September date turned out to be a more reasonable timeline. What these announcements really mean is that voice interfaces are becoming essential features for a wide range home appliances. That is particularly true for smart speakers. Last year, the only smart speakers were offered by Amazon and Google. That led to a rapid rise in Amazon’s wireless speaker market share. Strategy Analytics estimates that Amazon sold five million Echo units in 2016, 25% more than former market share leader Sonos. Amazon also accounted for 77% of growth in the market in 2016. Now the speaker manufacturers, including Sonos, are adding voice assistants in an attempt to take back market share from from Amazon and Google by integrating their voice assistants. The speaker market is the tip of the spear for the proliferation of voice assistant access. New automakers are announcing Alexa or Google Assistant integration each month as are a variety of home appliances with no history of voice or audio interaction. IFA simply provides more evidence that the voice era is upon us and voice interfaces will soon be ubiquitous. There are Now 20,000 Amazon Alexa Skills in the U.S.